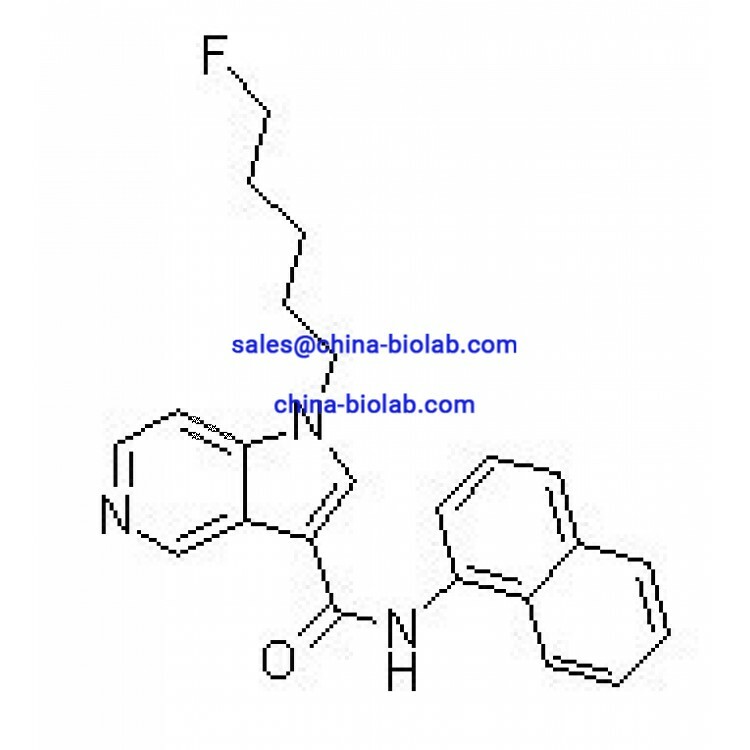 5F-PCN which substitute name is 5-F-MN-21 is a research drug, which has a vivid physiological and psychoactive effect. This is a synthetically created cannabinoid, which is based on azaindole. This substance is considered a strong agonist of CB1 receptor and CB2 receptor as all the cannabinoids. The systemic name of 5F-PCN is 1-(5-fluoropentyl)-N-(naphthalen-1-yl)-1H-pyrrolo [3,2-c] pyridine-3-carboxamide and the formula of the substance is C23H22FN3O. The formula weight is 375.4 g/mol. The preparation itself looks like white crystalline. This substance can be used for scientific and forensic work only. 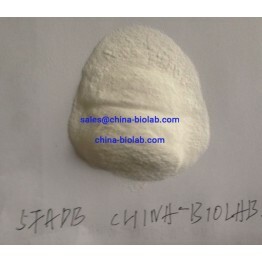 You can buy 5F-PCN online on our website china-biolab.com. 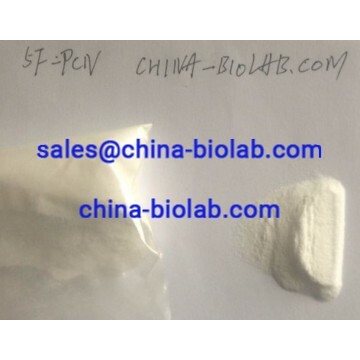 As 5F-PCN is a relatively modern and little studied chemical, its toxicity and physiological properties are unknown, but this drug has an obvious influencing mentality action. According to some studies, 5F-PCN can cause bladder cancer because of the metabolic hydrolysis of the amide group of 5F-PCN, which is suspected to extract 1-naphthylamine – a carcinogen. There is an analogue of this substance called 5F-NNEI with a little difference in their composition: 5-azaindole in 5F-PCN is replaced by indole group in 5F-NNEI. 5F-PCN (5-F-MN-21) was categorized as dangerous substance by the Sweden`s public health agency in 2014. 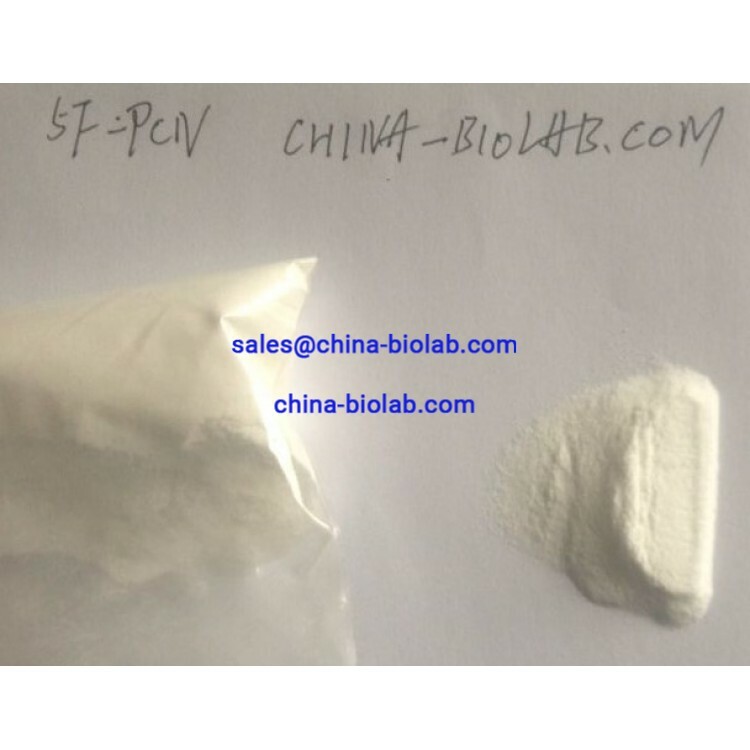 If you want to find 5F-PCN for sale for scientific research, you`ve come to the right place. Our website offers 5F-PCN online at the best conditions on the internet. 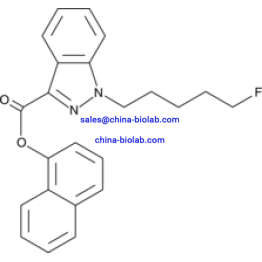 The drug is shipped in an opaque package, besides to buy 5F-PCN you can use one of several possible methods of payment and choose the most convenient delivery service. We are a trusted and reliable company, so we can promise that you will be satisfied with the quality of the product.